8 rolls of decorative tape. 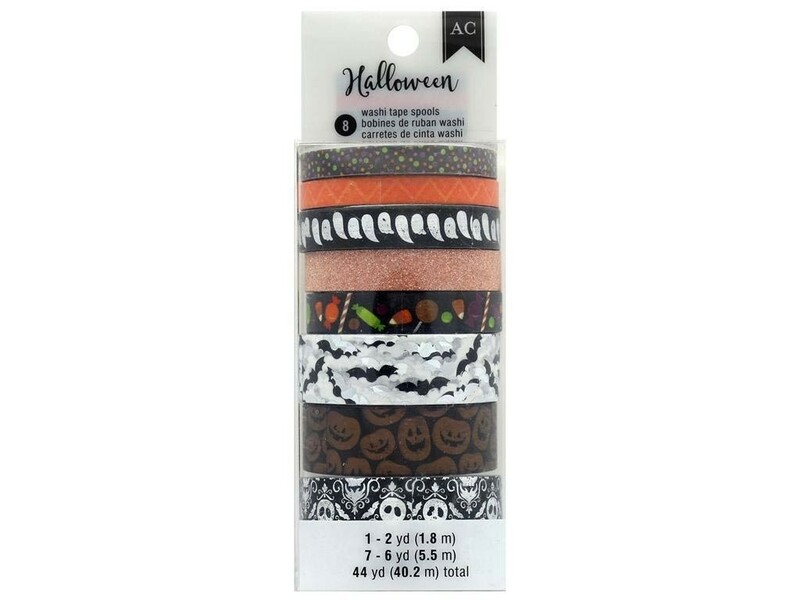 Designs include ghosts, bats, candy corn, jack o lanterns, polka dots, and a damask skull pattern. There are holographic, glitter, and foil accents. Tapes measure approximately .25", .38", .63", and .88". A total of 44 yards of tape.